The Museon has thrived for over a century as a museum for culture and science. Over that time, it has amassed large collections in the fields of geology, history, biology, anthropology, and physics. The diverse nature of its collections offers many opportunities for programming and education but that very diversity has also resulted in a rather fuzzy public image. Over time, the Museon’s approach to presenting its collections has gradually evolved in the direction of using the kind of interactive methods employed by science centers. This approach works well, especially in the temporary blockbuster exhibitions that have made the Museon a popular destination on the leisure market. At the same time, developments within society have forced museums to think carefully about their role in the community and the sustainability of their museum concepts. Over recent years, the main question we have been asking ourselves and our stakeholders is how the Museon can retain its social relevance without abandoning its longstanding traditions. On the one hand, we want to continue to showcase the beauty and diversity of our planet; on the other, we are keen to address major contemporary issues like climate change, nationalism, isolationism, war, and conflict. A few years ago, therefore, we decided to focus our programming and communications specifically on human geography. Having adopted this new policy approach, we felt that our new core displays needed to exemplify it in an appealing way. But developing the exhibition concept proved to be a complicated task. The problem was how to incorporate all the relevant aspects of physical and social geography in an exhibition that would be attractive to a family audience. The solution became apparent when the United Nations launched its Sustainable Development Goals (SDGs). By using these as a framework, we could weave together the various content concepts and exhibits that we had developed to produce a consistent and topical narrative. We were particularly attracted by the way the SDGs had been devised from the start with an eye to their communication and by the prospect of concrete action that they held out. A major question, of course, was how to use the existing collections in this more urgent and topical exhibition. In fact, we quickly found that, despite their long history, the collections provided a surprisingly apt starting point for “storytelling” in the new displays. (As a side note, the exercise forced us to reflect on the meaning of our collections and to recontextualize them; we are actively considering the consequences of the new policy approach for the Museon’s present and future collecting policies). One Planet revolves around the 17 Sustainable Development Goals adopted by the United Nations with the aim of creating a secure, peaceful, just, and sustainable world. The United Nations has been sufficiently impressed by the new exhibition to recognize the Museon as an official partner in publicizing the SDGs and their importance. One Planet offers a series of 17 displays, each examining a single SDG, that together address the major challenges facing humankind today. The interactive displays are presented in combination with items from the Museon’s multifaceted collections. The exhibition focuses on the many different kinds of things people can do to guarantee the sustainability of life on Earth. These range from dramatic, large-scale solutions to modest ideas that may impact a single square meter. One Planet aims to show visitors that they each have a part to play and to motivate them to help solve the problems facing the world. One way to do this is to hold up role models. We invited 17 people around the world (one for each goal) who have had the energy and determination to believe that something can be done to make the world a better place. These 17 people have, against all odds, worked to find solutions to immense problems like scarcity, poverty, war, and inequality. They are the true heroes on our planet. The Museon is now bringing them together—both online and in publications and educational programs—to form “Team One Planet.” Visitors can learn about these team members’ ideas not only in the exhibition but also in other areas of the museum, like the International Lounge and the Peace Café. 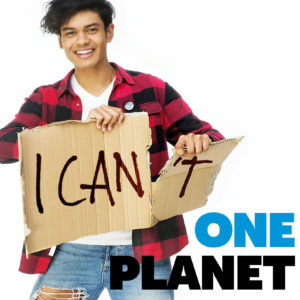 One Planet opened on October 24, 2016, (United Nations Day) with a special video message recorded by the then-secretary general of the United Nations, Ban Ki Moon. Since the opening, the exhibition has attracted 750,000 visitors. The associated repositioning and rebranding of the museum (including a new house style) have been equally successful. While retaining its traditional identity as a museum, the Museon has regained its relevance in the eyes of local communities, stakeholders, and sponsors. However, managing the political dimension of the change remains a challenge. The SDGs imply certain political choices, which has led some to question the traditional intellectual neutrality of the museum. The Museon has sought to resolve this issue by implicitly assuming the additional function of the “social lab”: a safe place in which difficult discussions can be conducted. All this has turned the Museon into a lively social hub within the city. In recent years, The Hague has rebranded itself as the “International City of Peace and Justice” and attracted a host of international organizations. For physical planning reasons, these are mainly concentrated in the area around the Museon, now known as the “International Zone.” As a museum with a progressive, inclusive approach, the Museon sees itself as part of a larger mission to bridge the gap between this highly international community of nongovernmental organizations on the one hand and “ordinary” citizens on the other. For this reason, programming deliberately reflects the international character of the city and aims to help the local public understand The Hague’s global ambitions. This is immediately clear to visitors entering the building. They find themselves in the International Lounge: an area that serves both as a meeting place and as an intellectual link between the Museon and the International Zone, with its dominant themes of peace and justice. The lounge is a platform for trailblazing initiatives in those fields, such as Hague Talks and the Museon City Lab. Using the complex themes of peace and justice to unite the city in this way is no easy task. It is a question of trial and error. We are experimenting and doing a lot of “rapid prototyping,” not only in the development of exhibits but also in terms of devising new formats for workshops and events. Needless to say, our educational concepts for these are based mainly on the STEM curriculum, but we have chosen to include the humanities and social sciences as well. This combination contributes to the social discourse about the implementation of the SDGs, and through it we hope to foster visitor commitment to the science, technology, and political culture necessary to ensure the achievement of the SDGs by 2030. Maarten Okkersen is head of communications at Museon in The Hague, Netherlands. About the image: Advertisements focus on empowerment and action.